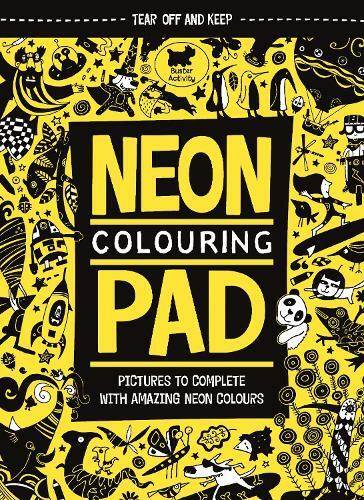 The Neon Colouring Pad is a brilliantly bright colouring book, packed with fun, quirky illustrations and features neon ink throughout the book. Kids will be entertained for hours using highlighters and felt tips to add even more colour to psychedelic space scenes, bright, beautiful birds and butterflies, exploding fireworks, shooting stars and much, much more. The book has perforated pages so completed pictures can be torn out and displayed.